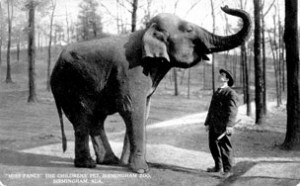 Mona, the Zoo’s first elephant, arrived in 1955, the same year the Birmingham Zoo, once known as The Jimmy Morgan Zoo, opened. Do you remember the excitement you experienced as a child when you visited a zoo? Feeding the animals and spending time with your family or friends? If you are from Birmingham, you may remember Monkey Island or fishing in the ponds or riding the train through the tunnel. Whatever those memories may be, zoos aim to entertain and be places to share experiences with family and friends. The first post-war support for a new zoo came from the Junior Chamber of Commerce. In 1946 Elton B. Stephens chaired a Jaycee committee to create a zoo. Planning and discussion continued until 1949. City Mayor James R. Morgan was a key supporter and instrumental in the success of this new initiative. A Zoo commission was established and decided to build the Zoo on 50 acres of land with a budget of $250,000. The budget would be spent to build Monkey Island, an elephant house, bear moat, birdhouse, snake pit and seal pool. Funds were raised through private donations, charter memberships, and in-kind donations from a broad base of community and business supporters. Monkey Island, the Zoo’s first official exhibit, was dedicated on April 2, 1955. The Birmingham Zoo operated as a quasi-private venture until the City Commission decided to assume responsibility in November 1955 with an initial annual budget of $663,000. Some years later the Birmingham Zoological Society was created to raise funds to supplement the escalating Zoo needs. During the ensuing decades the City of Birmingham had many needs more important in human terms than the Zoo. Such was the case with many municipal zoos, and Birmingham was no different. Funding for the Zoo was inadequate to maintain and operate it at acceptable professional standards. A series of Master Plans were developed but never came to fruition due to lack of funding. The need for significant improvements became increasingly evident by the 1990s. With so many financial demands on the city taking precedence and no leadership when it was needed most, the Zoo lost accreditation by the Association of Zoos & Aquariums (AZA). As with many endeavors it takes the right people at the right place and the right time to come together with an esprit de corps and undeterred commitment to make things happen. In 1999 Mayor Richard Arrington led the way for privatization of the Zoo, recruiting strong community leaders to serve as the first Board of Directors of a new organization, Birmingham Zoo, Inc. (BZI). The new organization established a transitional funding package with contributions from four government entities to support BZI during its first five years of operation. BZI is now in its nineteenth fiscal year as a private, non-profit organization. An intense 18-month effort addressed the most pressing and immediate problems so that the Zoo could become accredited by the AZA once again, ranking the Zoo in the top 10 percent of animal holding facilities in the nation. The Zoo also received 501(c)(3) status from the IRS, and the Zoo’s first major capital campaign was launched in January 2001. In 2006, the Zoo was ranked as the number one tourist attraction in the state of Alabama. William R. Foster, DVM, joined the Zoo as Chief Executive Officer in January 2004. Foster, a veterinarian and leading zoo management authority on the national scene, is Past President of the Association of Zoos and Aquariums and was president and executive director of the Louisville Zoo for many years. In 2005, the Zoo completed the Junior League of Birmingham – Hugh Kaul Children’s Zoo, a $15 million anchor exhibit dedicated to children and devoted to urban, rural and wild animals and environs of Alabama to coincide with the Zoo’s 50th birthday celebration. 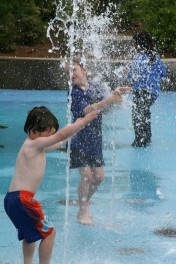 The Zoo launched an interactive Sea Lion Splash Show in 2007 sponsored by Red Diamond. This wet, wild and fun show features the comedic behavior of sea lions, such as talking, whispering, dancing and special interactions with the audience. The show increases public awareness of conservation of marine mammals. Kori Kountry is an immersive exhibit, constructed entirely by zoo keepers, that features Kori Bustards, a Kookaburra and more. Today, The Birmingham Zoo is blazing new trails in the history of elephant conservation. The new signature exhibit, Trails of Africa, designates the Birmingham Zoo as a national leader in the care and conservation of threatened elephants. The Zoo is embarking on a bold new initiative, one that is intended to set new benchmarks for the care and breeding of elephants in the United States. Trails of Africa is a mixed-species exhibit featuring a bachelor elephant herd, red river hogs, rhinos, and much more. Trails of Africa also includes ground and aerial observation opportunities providing education and entertainment to hundreds of thousands of visitors who can enjoy a one-of-a-kind experience. Since its Grand Opening in April 2011, visitors have been able to experience, explore and become educated on the new and existing animals and their expanded exhibit areas. With its botanical and cultural emersion-themed motif, Trails of Africa has created an immediate impact as a prestigious, world-class community asset. It is an economic engine for growth and tourism, and a science and ecology hub for primary schools. Trails of Africa is a place where adults and children alike can observe African wildlife and, in the process, become enamored with the charm of many different species; they will also be enlightened about the plight of endangered animals and inspired to support global wildlife conservation efforts. 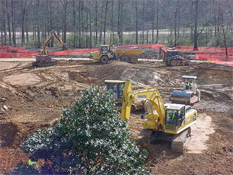 In 2015, the Birmingham Zoo temporarily shifted its front entrance to the Children’s Zoo during construction of a new Asian Passage and Arrival Experience. The first phase of construction required the relocation of the fish, turtles, frogs and other species that called the old fish hatcheries home. Next the ticket booths, membership office and gift shop were demolished and the ponds were filled with soil by C.S. Beatty Construction. Straw and seed were spread and grass began to grow. A video of this process is available for viewing here. The green park area is expected to be completed by spring 2017. “We are excited for the future and direction the Zoo is taking. The schematics and architectural drawings recently presented will provide for greater accessibility, visitor comfort and improved guest experiences as they explore the natural world,” said William Foster, DVM, President and CEO of the Birmingham Zoo. Dr. Foster will be assisted by Chris Pfefferkorn, Senior Vice President, who was hired by the Zoo in July 2015. Pfefferkorn has over 20 years of zoological experience and works with the Zoo’s Senior Staff on operations and management of the Zoo. In addition, he develops strategic short-term and long-term planning, and will oversee conservation and research efforts of the Zoo. Recently, B.L. Harbert International was named owner’s agent for the new Asian Passage exhibit and front entrance area, which includes a plaza and green space park area.